Berries are the perfect food for weight loss. They have a natural fructose sweetener, that will satisfy your appetite for something sweet, and enough fiber to absorb some of the calories you eat. British researchers found that the high content of insoluble fiber in fruits, vegetables, and grains reduces a lot the calories from the foods you eat, so that you can lose weight without even restrict the foods you eat. 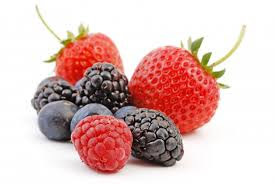 Moreover, berries are a great source of potassium and can help you control your blood pressure. Blackberries have 74 calories, raspberries 60 and strawberries 45. So use your imagination and enjoy the berries you like.